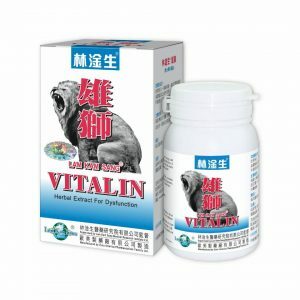 Going through a long term clinical practice, Lam Kam Sang PROSTATIN obviously reveals that it rapidly corrects the disorder of the internal physiological messages caused by the degeneration of the testis, decomposes the enlarged cells and toxin, easily resolves the problems of the prostate such as the blockage of the passage way and frequent flow during night time and so on without causing any side effect. No extra course is required if ADMINISTRATION of the instruction is strictly followed. 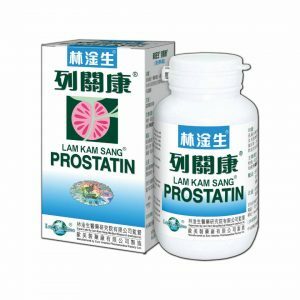 Lam Kam Sang PROSTATIN surely brings great comfort and healthy life to the middle to old aged males. Ramulus Cinnamomi, Flos Carthami, Radix Paeoniae Alba, Radix Aucklandiae, Margarita etc. Every capsule of Lam Kam Sang PROSTATIN contains 500 mg extract of the above Chinese medicines. 1. Seniors’ enlargement of the prostate and the related problems. 2. Dysfunction caused by the enlargement of the cells. The gradual degeneration of the testes after the age of 50, causing internal signal imbalance and excessive growth of cells, may lead to the following major symptoms: poor and frequent flow, usually 6-7 times in the day time and 4-6 times in the night time; obstruction of the entrance causing accumulation of unclean matters and temperature and sudden pain in the lower abdomen; the obstruction of normal male night life, etc. a. Strictly follow the “Administration” and “Precaution” procedures, improvement of symptoms can be attained in 3-15 days of course and the satisfaction rate is over 90% in 30-90 days of course. After the symptoms greatly relieved, patient should take the medicine continuously for another 60-90 days to consolidate the efficacy. Clinically, the satisfaction rate is over 95% in 90-180 days of course. b. Patient having complicated calcified accumuproblem, 90-180 days of course is suggested. It usually occurs to males of ages below 50 and 95% with histories of unclean partner contacts and unclean contamination at nearby parts. Besides the symptoms which resemble enlargement, patients may also have symptoms such as burning pain in the lower abdomen, inguin, perineal areas, groin and neighbouring area. 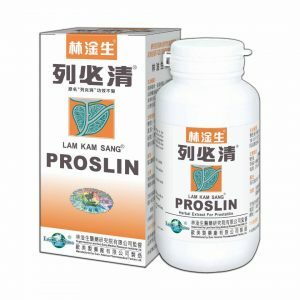 Upon confirmation of diagnosis, Lam Kam Sang® PROSLIN is recommended. Scanning and blood test for the part’s specific antigen(PSA) are required for the confirmation of diagnosis if mutation is suspected. For the early stage, Lam Kam Sang® CANFULIN for 180-360 days is suggested. Mr. Yeung, 65 years old, was diagnosed enlarging part. X-ray examination showed that the part was 7.8 x 6.5cm in size. He could hardly withhold toilet-visit in the day time and was frequent visiting, usually 6-7 times in the night time. Mr. Yeung was prescribed Lam Kam Sang® PROSTATIN® for 60 days, relief was seen. The frequency was 2 times per night. After another 30 days of course, he took an examination at the hospital and found that every thing was just good. Mr. Tse, 70 years old, was diagnosed enlarging part. Palpation showed that the size resembled a table tennis. He complained of toilet-visit frequency and dribbling, usually 1 to 2 hours each time and his normal sleep was greatly annoyed. After taking Lam Kam Sang® PROSTATIN® for 40 days, all the symptoms were greatly improved. Mr. Tse was shown healthy, after 80 days of course. Mr. Chan, 76 years old, Indonesian Chinese, was diagnosed severe enlarging of part. He was admitted to the hospital due to difficulty in toilet-visiting in the age of 65. He was admitted again in the next year because of the same. As his grandfather passed away after the removal operation, he was very reluctant to undergo such surgery. His friends from Indonesia referred him to clinic during his visit in Hong Kong. After taking Lam Kam Sang® PROSTATIN® for 15 days, he felt much relieved and the toilet-vist became smoother. Mr. Chan was satisfied after 120 days of course and healthy up to date. Treatment: 6 capsules each time for weight under 60 kg, 7 capsules each time for weight 61-70 kg, 8 capsules for weight over 70 kg; 2 times a day, to be taken with warm water 2 hours after breakfast and diner. 1. Dosage should be discontinued in case of cold and fever, or acute gastritis. In such cases, curative period will be prolonged. 2. Avoid alcohol; mango and durian; roasted, baked, fried and chili foods; stale sea foods and nourishing Chinese medicines and patent medicines. 3. During the period of acute retention of urine, consult the doctor for urethral catheterization to relieve the urinary retention is suggested before continuation with PROSTATIN.